If you ask someone to name the closest star, Alpha Centauri is perhaps the most common answer. 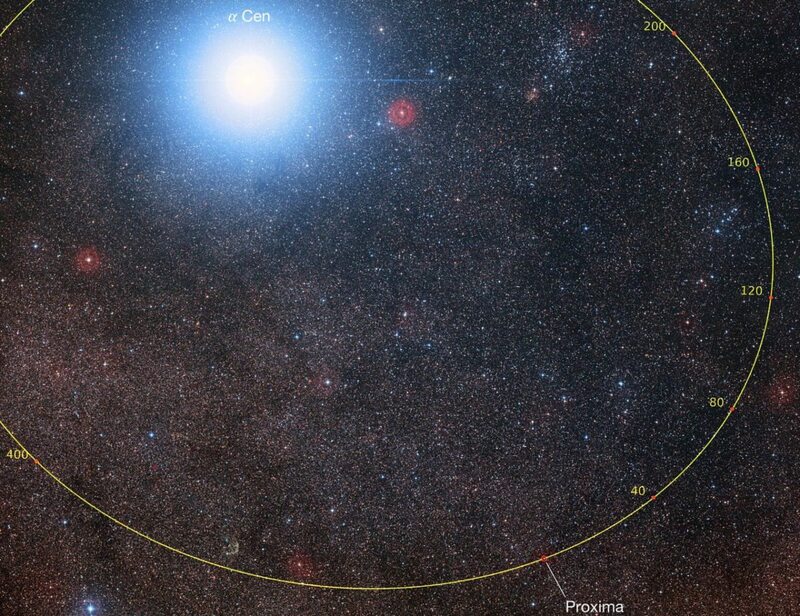 Some will recognize it as a trick question and correctly answer “the Sun,” but the closest star to our Sun is a faint star known as Proxima Centauri. One of the long-standing questions is whether Proxima is actually part of the Alpha Centauri system, or whether it just happens to be in the same general vicinity. We now have a pretty solid answer. We’ve known since the late 1600s that Alpha Centauri is a binary pair. The two stars (A & B) are each similar in mass and luminosity to our Sun, and orbit each other every 80 years. Proxima Centauri is much smaller and dimmer, and wasn’t discovered until 1915. 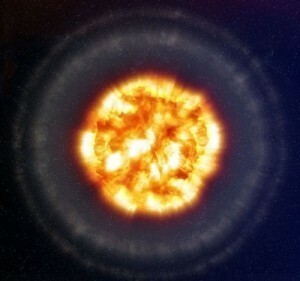 By the 1950s we were able to confirm that Proxima wasn’t simply in the same direction as the others (known as an optical double star) but was in the same general region. It also had roughly the same proper motion, meaning that it’s slow drift across the sky is in the same general direction and speed as Alpha Centauri A & B. This meant that odds were good that the three stars are part of a trinary system. But proving this was a different matter. Although Proxima is in the general region of the other two, it is still about a quarter of a light year away. That’s pretty close for stellar distances, but it’s quite far for an orbiting star. It’s quite possible that Proxima is simply making a close flyby of Alpha Centauri, but doesn’t plan on staying. The key point is whether Proxima has enough speed to escape the gravity of Alpha Centauri, or whether it is gravitationally bound to them. To determine that you need two measurements: radial velocity and proper motion. Radial velocity can be found by looking at the spectrum of a star. As a star moves toward or away from us, its light is redshifted or blueshifted due to the Doppler effect, and we can see this shift in the spectral lines. Getting a precise measure of Proxima’s proper motion is much more difficult because it’s so faint. But recently measurements from the HARPS detector at La Silla Observatory have finally nailed down a precise measure of Proxima’s motion. It’s speed and direction is well under the limit for being gravitationally bound, which means Proxima and Alpha A & B are indeed a trinary system. It’s orbital period is about 550,000 years. So now we can say the closest stellar system to the Sun includes both Alpha and Proxima Centauri. Paper: P. Kervella, et al. Proxima’s orbit around Alpha Centauri. arXiv:1611.03495 (2016).